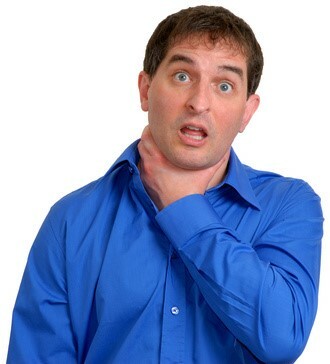 Choking is when someone cannot breathe due to food or another foreign object becoming lodged in their windpipe. A casualty tend to clutch their throat and neck and turn red in the face and neck. Most choking incidents are of a minor nature and can be relieved by hard coughing. If back bows do not dislodge the object, try 5 abdominal thrusts.